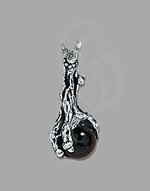 Ideal Gift for the Year of the Dragon! 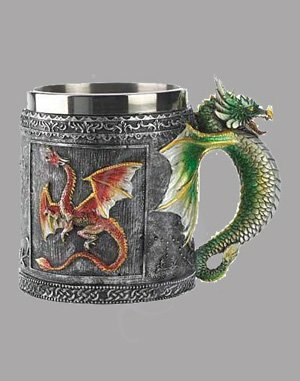 Medieval style mug is richly emblazoned with fearsome dragon motif and fiercely frowning serpent handle. 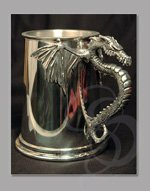 A perfect decorative banquet cup for any Dragon King! Decorative purposes only. 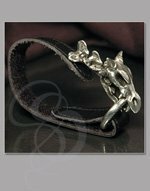 Polyresin, Metal. 3 3/4" x 5 1/2" x 4 1/4" high.